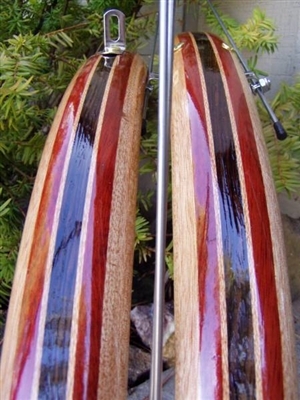 High quality handmade woody's bicycle fenders. Cool looking pattern with striking colors. Made from Mahogany, Blood wood, and Wenge. Complete set front and rear with hardware. 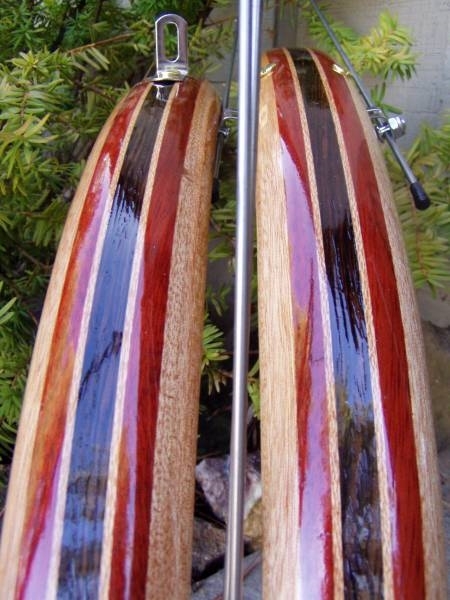 Made from African Mahogany, dark Wenge, Blood wood, and thin stripes of Lace wood. Super artistic combination of woods. These would add class to any bike. Great fender pattern! Comes with stainless steel and brass mount hardware.